Law suits are based on many things: the facts, the client, standing, timing, venue, applicable law, case law, etc. All are important, but without the facts there is no case! Without facts, there’s nothing to prove the case and thus prevail for the client. Trial lawyers depend on professional legal investigators to obtain the facts and expect that evidence will be relevant and admissible in a court of law. 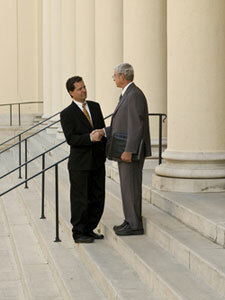 The Legal Investigator is trained in the art of interviewing and taking statements. He or she has the ability and equipment necessary to produce photographs that accurately portray scenes or actions for presentation at trial. Today’s investigator has computer skills and conducts on-line research. Those computer skills enable the investigator to locate witnesses and conduct background inquiries when needed. Most investigators have contacts from all walks of life, which can offer additional insight and perspective for the trial attorney. Investigators are also called upon to research expert witnesses and their anticipated testimony, as well as their background. Finally, investigators give testimony at depositions, hearings and trials the purpose of which is to introduce into evidence of their investigative findings. David B. Watts has been a Certified Legal Investigator (CLI) for over 30 years and has been working with law firms in New Jersey, Florida and other states for just as long.